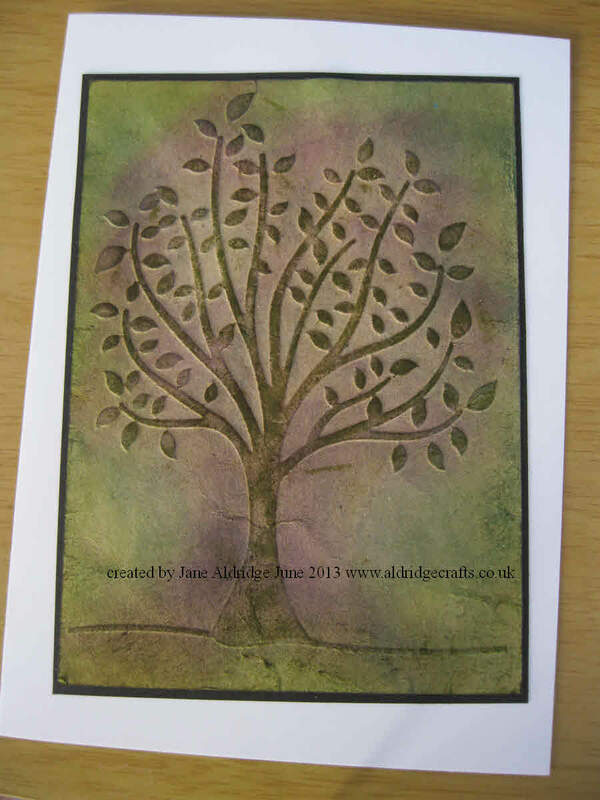 Today’s project has been created ready for the make & take at craft club this Friday. 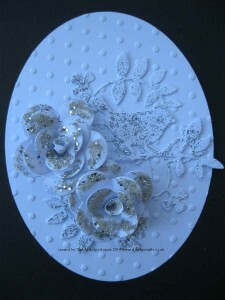 It’s a fun way to play around with your embossing folders and is nice and quick to make. 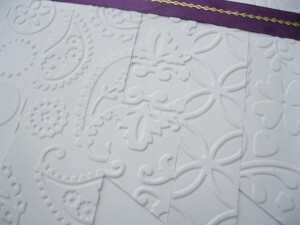 Cut strips of card and emboss with a variety of different folders (if you only have a couple why not alternate the designs). 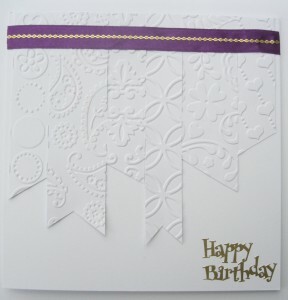 Then finish with some ribbon and a peel-off greeting and border for a quick and easy card. 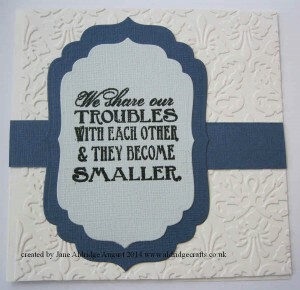 The most difficult thing about this card is taking a good photo of it! 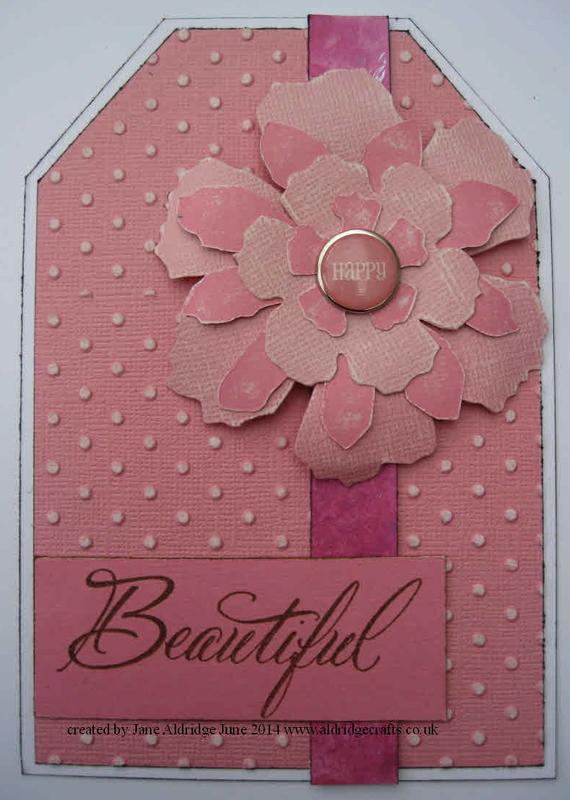 have fun playing with your folders and if you are local, please do come and join us at craft club this Friday evening 6.15-8.30pm at the Francis rooms next to Connaught hall in Attleborough. 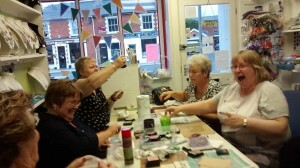 It’s £3.50 to attend, bring something to craft with you and join in for a laugh and a cuppa. 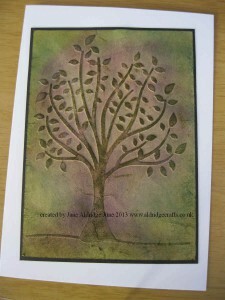 If you want to join the make & take it’s just £2.50 to come and play! 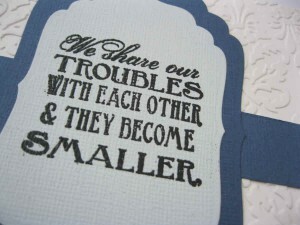 I have used the same template, but with larger card today. 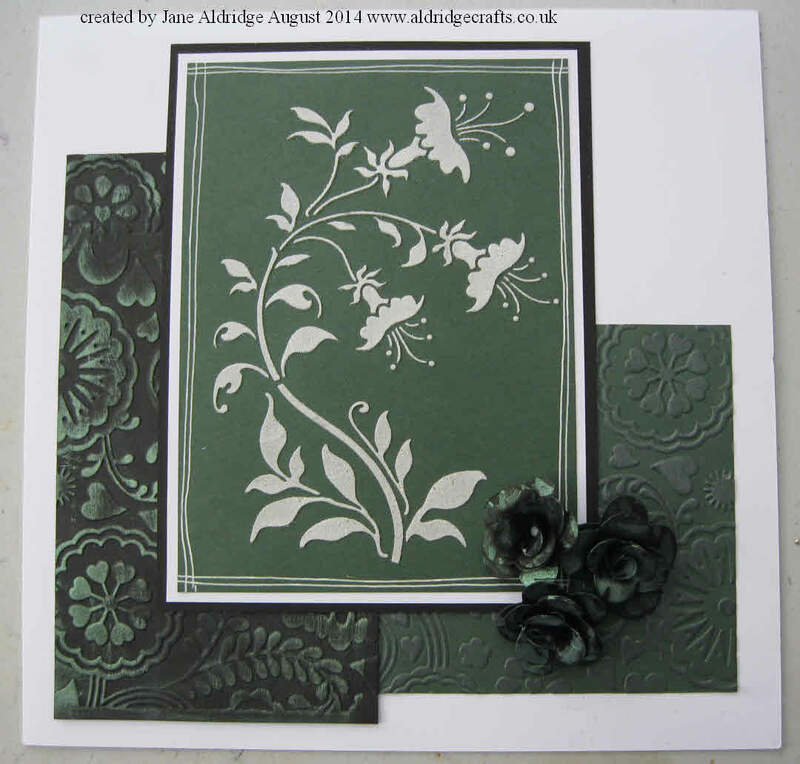 I’ve used a piece of card that is A5 in size to give a wider box. 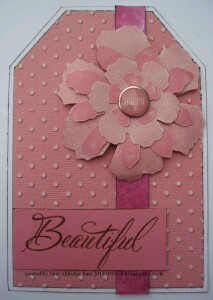 A lovely vintage feel to today’s project. 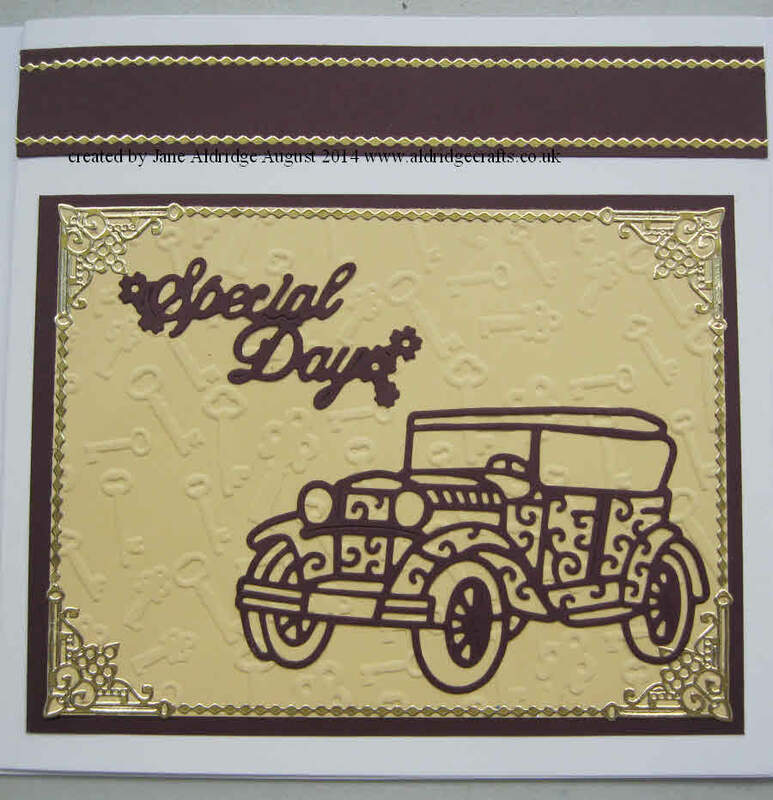 I’ve cut the Tattered Lace Car and the Special Day greeting out of a deep burgundy shade of card. 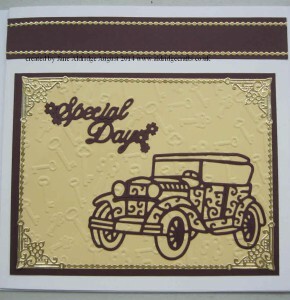 My Beige card has been embossed with an Embossalicious Antique Keys folder. Back in my comfort zone today with a bit of Faux Leather. 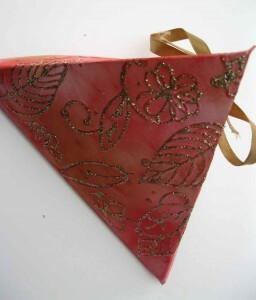 This has been made using Sheena Douglas’ Faux Leather technique transforming Kraft card into fab leather like material. 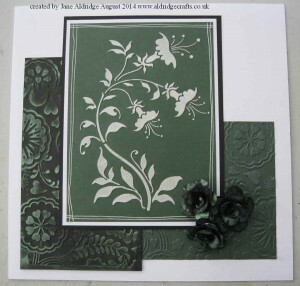 For this project I have created the faux leather panel and then run it through the Cuttlebug with the Crafts Too tree embossing folder. I then allowed to dry completely – in fact I put it aside and came back to it another day so I was not tempted to work on it too early! 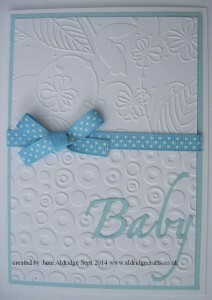 It has a lovely rough texture to it so perfect to add Distress Inks to as you know it will catch on the texture.